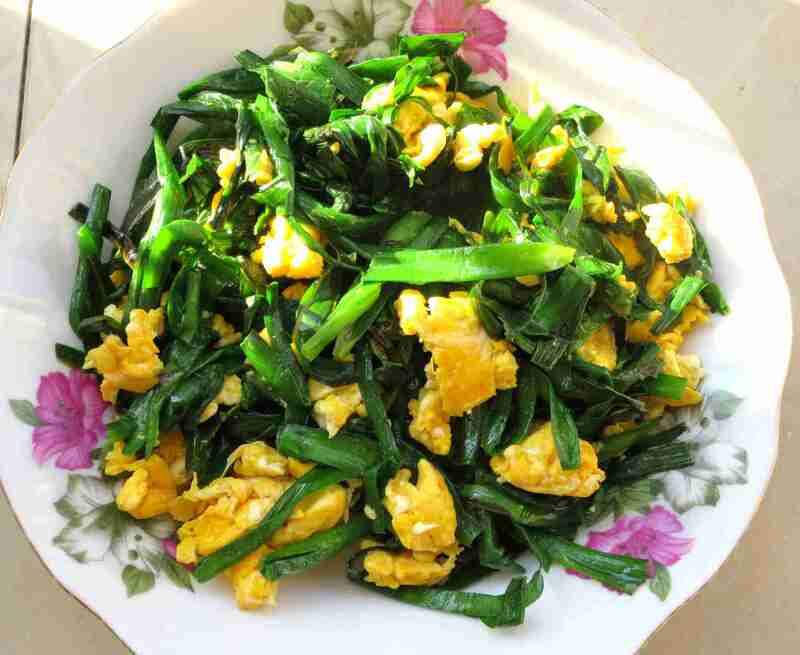 Chinese chives, known over here as jiucai 韭菜, is an ingredient that's easy to find all over China and it isn't too challenging to track down even in the west. It's an ingredient that's fun to use because it is versatile, lending itself to many applications. It's also forgiving, not easily ruined when you are using it. I unexpectedly lucked in to a big batch this weekend and wound up cooking jiucai three days in a row. 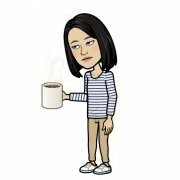 I had three days of jiucai feasts. The back story might be of interest. A hot springs sauna where I sometimes relax grows all its own vegetables organically out on the northeast edge of the city. It's one of their boasting points and is a claim to local fame. Whatever they bring in fresh in the morning, gets used up by the end of that same day; they are scrupulous about not holding anything over. "Completely organic and completely fresh" is what you can expect to eat on their premises, according to their promotional literature. They set a lavish buffet for lunch and another for supper. Breakfast is also provided, but it's a simple affair. If you are leaving anytime after supper, as you check out and settle your tab, they will ask if you want a bag of that day's leftover veggies. The receptionist won't let you pick through them or select what you want. One person, one bag; take it or leave it. I find it hard to say no to this kind of pot luck bounty, and usually smile and nod yes. This means that sometimes I walk out with a heavy bag of cabbage or half a dozen eggplants plus two carrots. This time my treasure was more jiucai than anyone could possibly eat at one go. Luckily, it keeps pretty well for a day or two in the crisper drawer of my fridge. Looses a tiny bit of it's fresh-picked bite, but not much. It's a pretty durable item. So now after three straight days of jiucai practice, I'm a self-declared expert. My best friend agrees, but we all know she's biased. In any case, I'll take great pleasure in showing you some jiucai tricks so that you can also perform jiucai magic at home, wherever you might live. 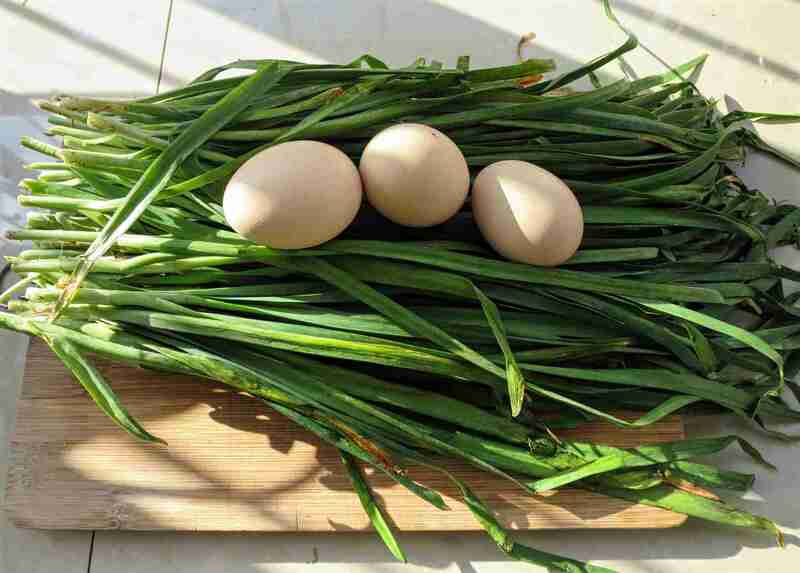 This splendid green vegetable has a taste somewhere between that of onion and garlic, and is related to both. 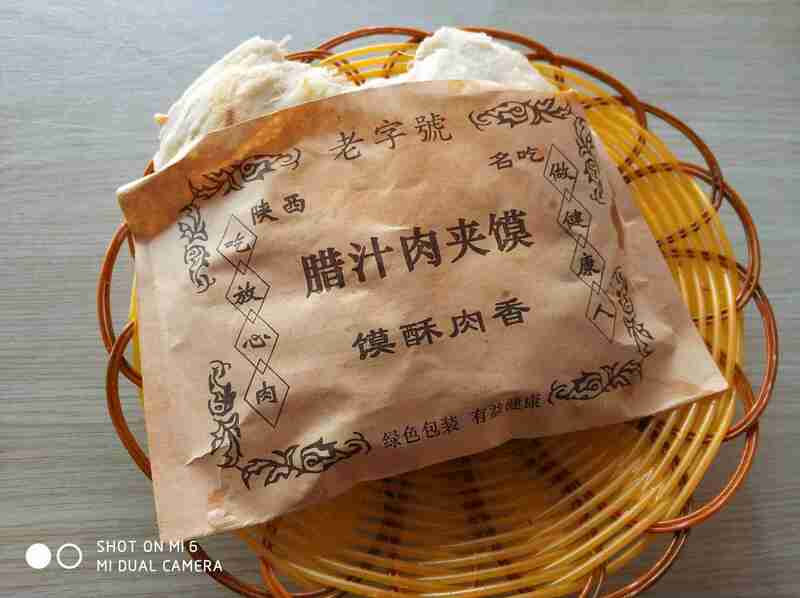 The flavor is more concentrated than either and it makes a very distinctive ingredient in many quintessentially Chinese specialty dishes, top among them probably being jiucai dumplings 韭菜猪 肉饺子。These rule the roost if you live up north, above the Chiang Jiang 长江, aka the Mighty Yangtze. Someone else will have to show you how to make those, since my dumpling skills are rudimentary at best. 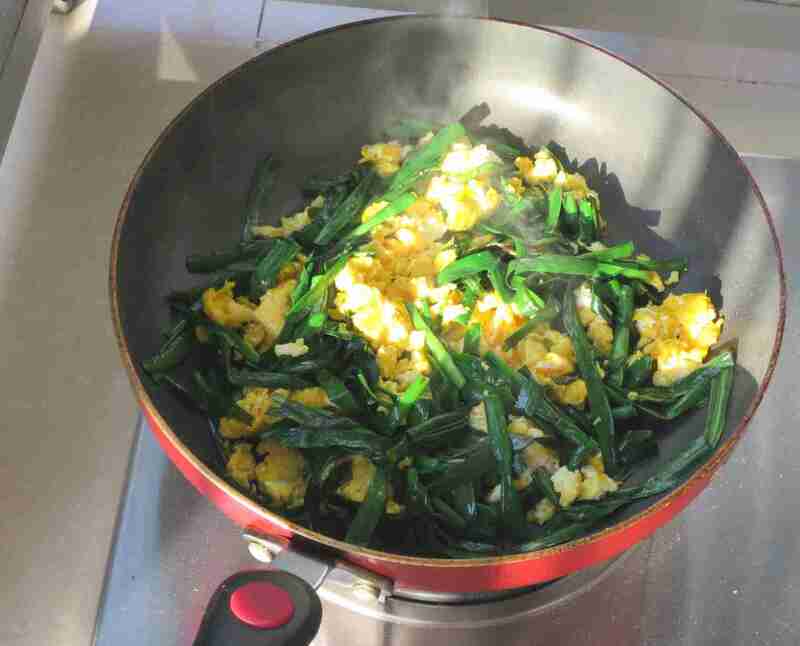 But today I'll gladly show you how to use jiucai in a stir fried scrambled egg dish 韭菜炒鸡蛋。Next we will make it up into crispy thin griddle cakes 韭菜煎饼。A day or two later, if there's sufficient interest, I'll take you through turning them into a tasty and simple fried rice 韭菜鸡蛋炒饭。All three were a hit with my Kunming friends. Never broke the bank or required excessive amounts of kitchen time. Trim off a little bit of the fibrous white root ends and discard any brown or wilted leaves. Wash them well, dry them, then chop into pieces 3 or 4 centimeters long. 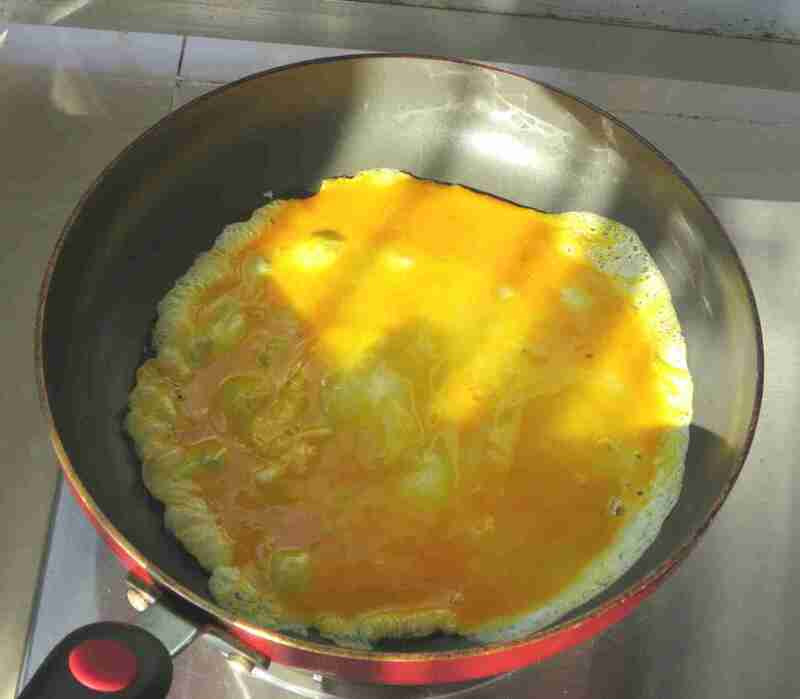 Break two or three eggs into a dish and mix them with chopsticks. 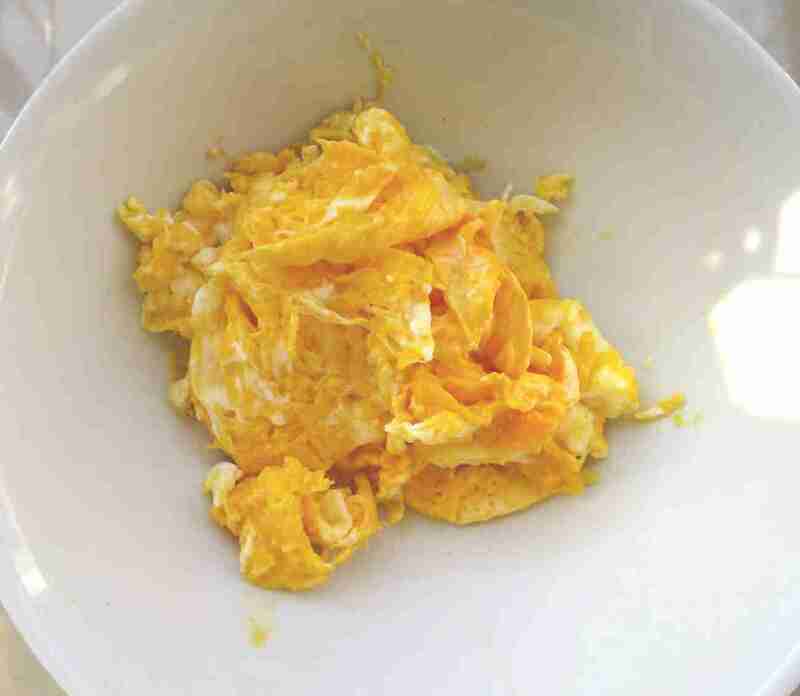 I usually figure one egg per person when preparing this as a side dish to go with other parts of a meal. Wipe out the skillet, heat to medium, add a little more oil. 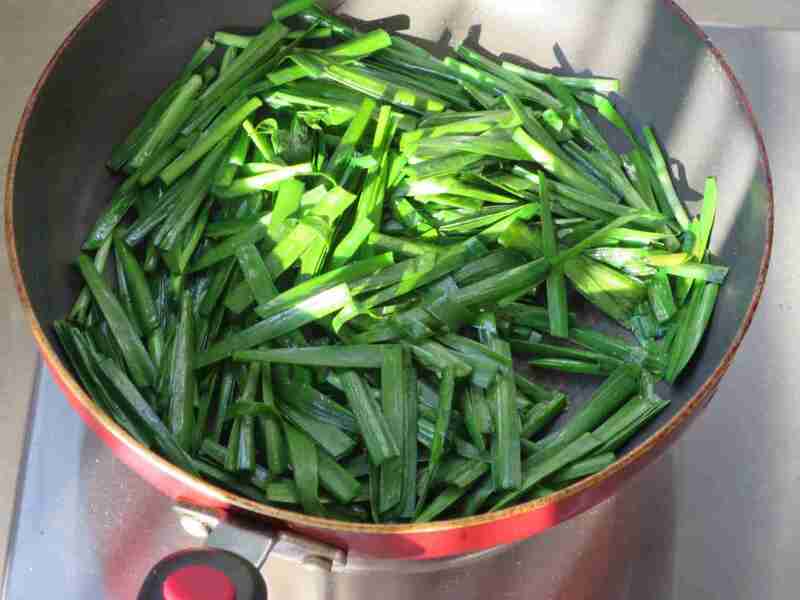 Stir fry the jiucai until they wilt, but don't let them get real dark or burned. This usually only takes a minute or two. Add a light sprinkle of salt. Add back the scrambled eggs and cook them together for another half minute or so. Scoop them out into a serving dish. Set it on the table and dig in. This is a dish best enjoyed while it's still nice and hot, fresh from the flame. Hope you will give it a try. Eager to see what you think. On a spectrum of one to ten, this falls a bit below zero on the difficulty scale. Highly suitable for fledgling Chinese chefs. This is relevant to my interests, got two healthy rows growing in my veg patch as I type! @Jim -- I'm jealous! As an apartment dweller, I miss home-grown vegetables a lot, especially true vine-ripened tomatoes. What do you find grows best up there at this time of year? What are you harvesting the most regularly now and enjoying the most? It's early days yet as we only moved in late last year - the jiucai were planted already and have gone over winter, come up beautifully now. Just planted two rows of beans, one runner 架豆 and the other 豇豆. Will be planting some squash and cucumbers too, though must admit I'm a terrible gardener but our elderly neighbours over the way, a farming couple, love to come by and help so I've done it all under their guidance. To hell with the two of you and your idyllic lives. I like eating jiu cai but really don’t like cleaning it! Your ingredient photos doesn’t look so bad but the base of them is often caked in mud. A lot of the time some of the outer layers have to be removed from the base as well. Not LOADS of effort to clean it but more than other vegetables. Hence, I rarely buy it. 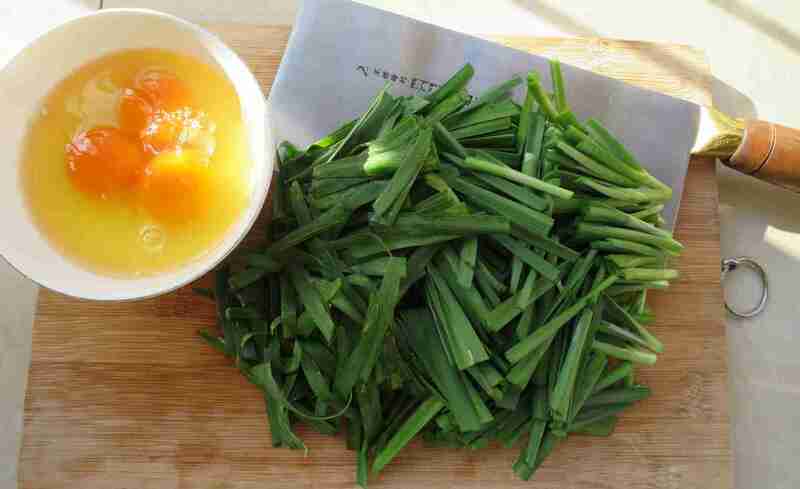 I do do like a decent Egg and Chinese chives. Don’t go on any dates after eating though. Yes, sometimes the white base needs to be peeled and trimmed. Do you sometimes use them for dumplings up there in Beijing? Haha! Don't be bitter. You can always come to visit. Will be planting some squash and cucumbers too, though must admit I'm a terrible gardener but our elderly neighbours over the way, a farming couple, love to come by and help so I've done it all under their guidance. 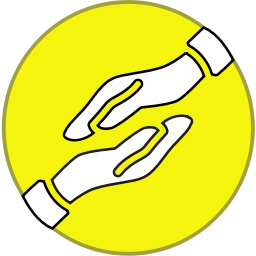 Sounds like a good way to learn local ways as well as getting to know your neighbors. Back when I had a kitchen garden, before coming to China, I always trellised cucumbers and squash. They're a lovely couple, as well as helping with the veg patch (they used to do same for our landlords when they came out here at weekends) often pop round with veg they've grown themselves or a spare bit of whatever tasty thing they've been cooking. Good test of my Chinese because they've got strong local accents and are both pretty deaf so no can't get away with anything less than clear. We have a trellis beside the veg patch that becomes a shady tunnel over the path to the inner gate once all the squash have rambled over it. There were several really good sized ones last year just as we moved in. Good test of my Chinese because they've got strong local accents and are both pretty deaf so no can't get away with anything less than clear. That is always a challenge. My neighborhood Taiji 太极拳 group had some old timers like that last year. Some days it was really difficult to muster the energy that it took to converse with them beyond a casual greeting. 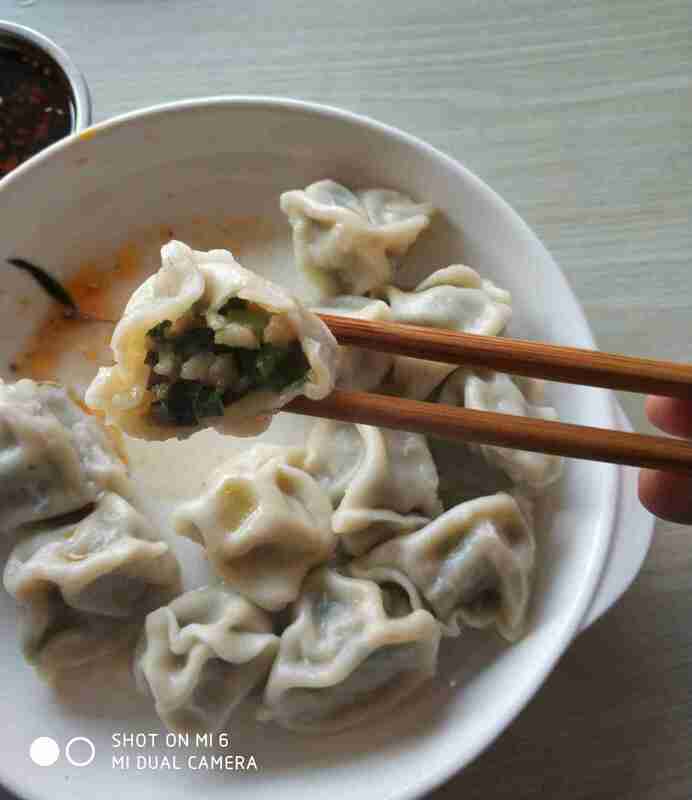 Yesterday, with jiucai still on my mind, I stopped and ordered a batch of jiucai jiaozi 韭菜鲜肉水饺 for lunch at a stall where the boss 老板 is from Xi'an 西安。I usually have noodle dishes there, but this time I strayed from my norm. 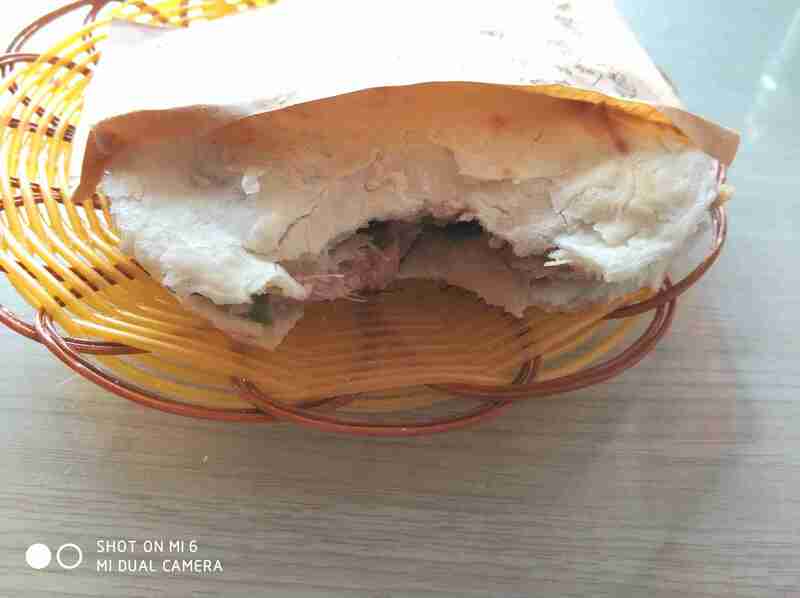 While the jiaozi were being stuffed and boiled in the back room, I munched one of his other specialties, rou jia mo 肉夹馍, which is one of China's original "sandwich" long before McDonald's ever made it to these shores. Cut up stewed fatty pork plus some peppers and scallion between the halves of a fresh-baked wheat bun. I had asked for mine to be on the lean side 瘦一点 for the sake of my waistline. 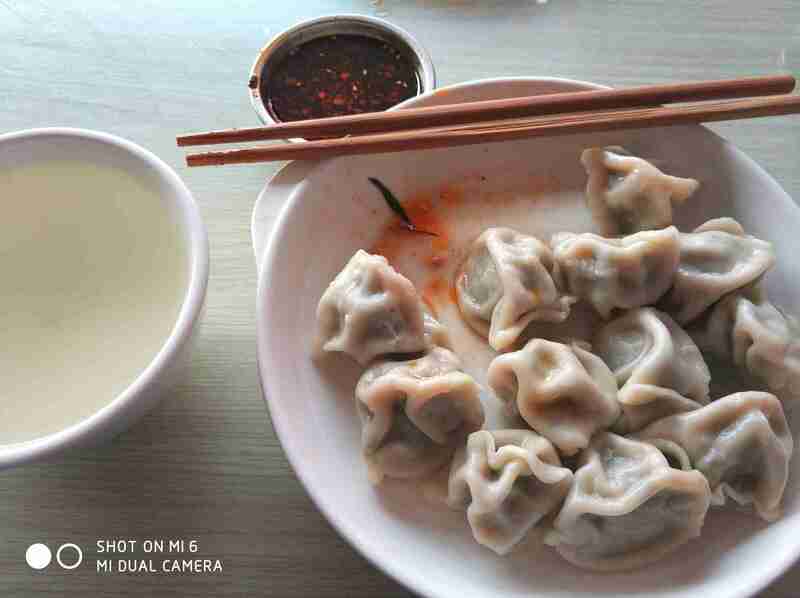 The dumplings arrived soon, with a spicy, vinegar-based dipping sauce and a small dish of the boiling broth 饺子汤 on the side. Steamy and tender; good balance between meat and green vegetables. Made for a very tasty casual lunch. Cost 13 Yuan total. Same as elsewhere in China. Dumplings, fried with egg, inside baozi or another different kind of bread (picture s 肉饼 but with chives and egg inside instead).